During April 2013 TapeConcept organized in cooperation with the Kuwait Physical Therapy Association (KPTA) a specialized Medical Taping congress. Practical courses were introduced to Kuwait’s therapists included two basic course on the various techniques in the application of Medical Taping and two specialist MTC courses; one focusing on sports injuries and the second on the lymphatic drainage process. 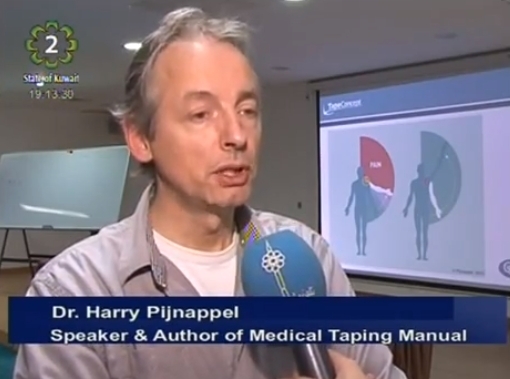 A Kuwaiti television channel interviewed the KPTA organizers and Harry Pijnappel. TapeConcept hopes to organize again by the end of the year some more specialist courses. Watch the two news items!